Barking Up The Family Tree: American Dogs Have Surprising Genetic Roots A few dog breeds indigenous to North America have genetic roots on the continent that stretch back 1,000 years or more. A study finds that their genetic lineages haven't changed much, despite an influx of European pooches. Modern Chihuahuas trace their genetic roots in America to back before the arrival of Europeans, a new study suggests. "There is ... archaeological and historical evidence that the native peoples of the Americas had dogs," says Peter Savolainen, an evolutionary geneticist at the KTH-Royal Institute of Technology in Stockholm and an author of the new study. When humans first came to the Americas from Asia, they're thought to have brought with them dogs, whose descendants populated North and South America for centuries. But those dogs didn't fare too well once Christopher Columbus got here. "It's known that most of these dogs were eradicated when Europeans arrived in America," says Savolainen. Pathogens the Europeans brought killed humans and dogs alike, he says. Any canines that survived are thought to have interbred with European dogs over time. Most researchers have assumed that today's dogs would have little trace of their ancient American ancestry. To find out if that was indeed the case, Savolainen and his colleagues looked at the mitochondrial DNA of a handful of modern breeds with indigenous origins. Mitochondrial DNA is inherited from the mother and remains relatively unchanged over generations. By looking at the mitochondrial DNA sequence, one can get a peek at the ancient maternal ancestry. "You can go back in time as far as tens of thousands of years," Savolainen says. 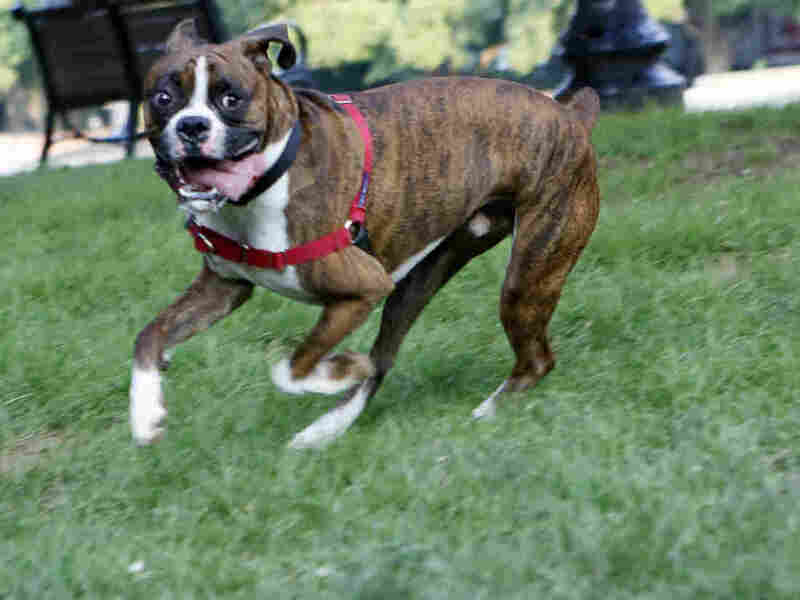 Jack, a cattle dog/boxer mix, plays in Washington, D.C., on Tuesday. He and his colleagues looked in particular at the maternal lineage of the Inuit sled dog, the Alaskan malamute, the Greenland dog, the Chihuahua, the Xoloitzcuintli (Mexican hairless dog), Perro Sín Pelo del Peru (Peruvian hairless dog) and a range of strays from North and South America. The scientists compared the DNA sequences of these dogs with those of hundreds of dogs from Europe and Asia. Savolainen expected to find a strong European influence on these breeds, but he was surprised. Except for some of the stray dogs and the Alaskan malamute, "they have very little influence of European dogs in these breeds," he says. "So they have been kept pretty pure." When he and his team compared the sequences of the relatively unchanged breeds with those of 19 ancient dog sequences found across the two American continents, he was even more surprised. 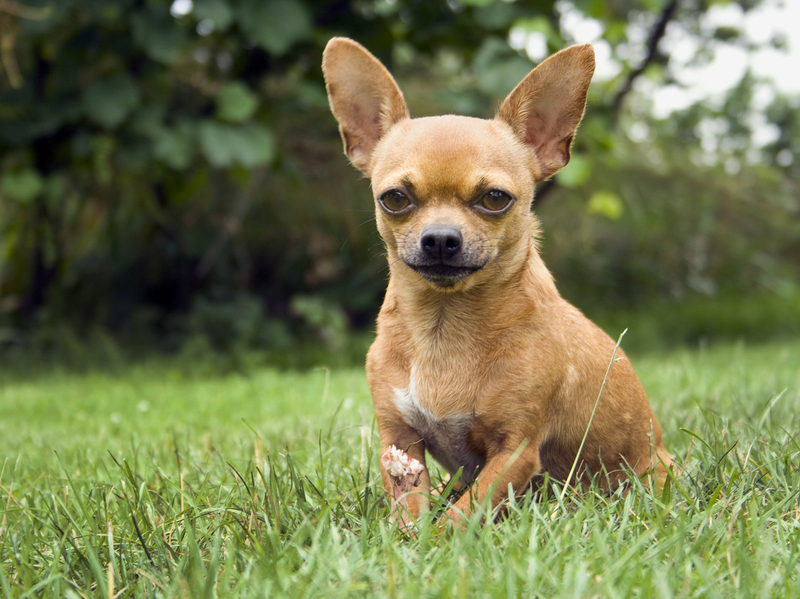 One breed — the Chihuahua — had a portion of DNA that was an exact match to that of an ancient dog. "We have exactly the same unique DNA type in Mexico 1,000 years ago and in modern Chihuahua," Savolainen says. This suggests that at least this particular breed had genetic roots stretching back before the arrival of Europeans. In addition, most American breeds in the study had a lot in common with present-day dogs from East Asia, he says. This genetic similarity is because the indigenous American breeds descended from the first dogs that traveled from Asia to the Americas. America is a melting pot for dogs just as it is for their human pals. 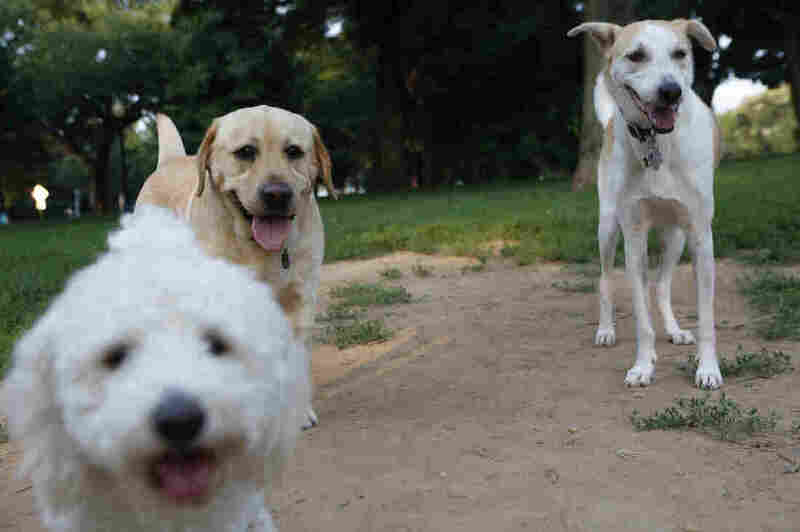 From left, Lola, a schnoodle (schnauzer/poodle combo); Teddy, a retriever; and Cinderella, a mutt from the Bahamas, hang out in Washington, D.C., on Tuesday. Maternal ancestry, of course, can't tell the whole story, Savolainen says, and mitochondria trace the genetic lineage only through mothers. But the evidence does show many modern North American dogs continue to carry a significant genetic signature from their distant past, he says. And that means that, like distinct languages, they're very much the products of the indigenous human cultures that created the breeds. "These are [a] remaining part of the indigenous cultures — the Indian and Inuit culture — in America," Savolainen says. "And that makes it more important that these populations ... are preserved."